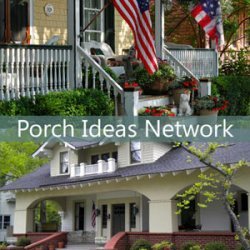 Use our Front Porch Guide below to determine front porch designs along with porch characteristics, front yard landscaping ideas, and outdoor furniture ideas. 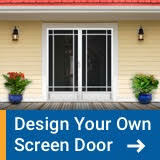 Our guide will give you an excellent starting point for designing, decorating, landscaping, and furnishing your front porch. 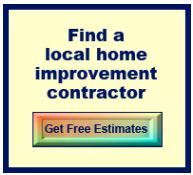 Our front porch guide is simply some guidelines and suggestions for your porch and landscaping based upon the style of home you have. Use your judgment and creativity to make your home "yours". 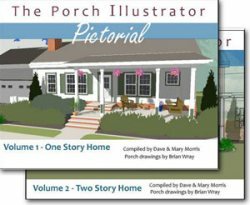 Porch Characteristics: Porches range in size from small to large; usually roofed; symmetrical facades with central entrance ways; an equal number of windows flank each side of the door. Landscaping Ideas: Use symmetrical plantings, simple painted garden furniture, rockers and a swing of course! Use brick. flagstone and stepping-stone walk ways to access the porch. 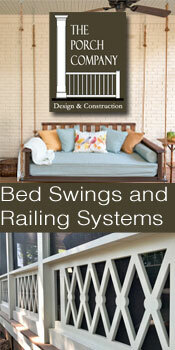 Also consider using prominent features like arbors and pergolas. Use mixed beds and borders around porch. Porch Furniture Ideas: Use teak or heavy wrought-iron furniture. Porch Characteristics: Porches are usually ground level, deeply shaded with arches; usually incorporates a mix of details imitating the architecture of Spain, Italy, Greece, and Morocco. Porch Characteristics: Southwest houses usually have one-story porches with massive square supports; come in two styles--boxy and symmetrical or low-slung and asymmetrical. Roofs are low-pitched, with wide eaves. Brick and clapboard are the most common building materials. We hope you found our front porch guide useful. 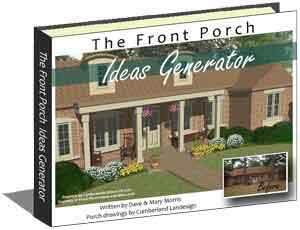 Our front porch guide should only be a start to learning more about front porch designs, landscaping, outdoor furniture, and lots more. We have lots to offer! 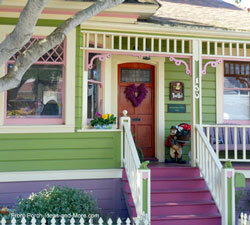 If you have suggestions for more home styles to be included in our front porch guide, please let us know. Thank you! 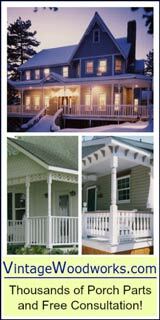 Be sure to see our entire porch design section, covering porch architecture from ranch style to contemporary porch styles and more.